My dad has one. My neighbour has one. And now I think half of the Indian two wheeler buying public has one. 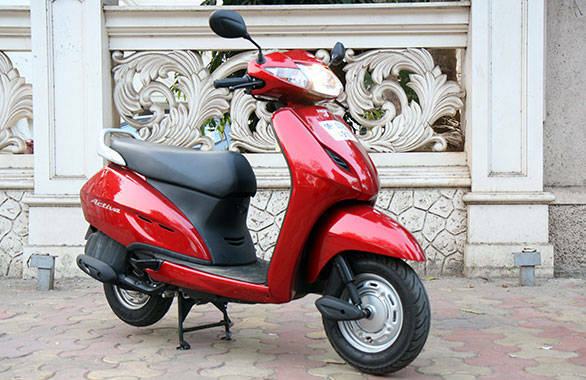 The Honda Activa is after all one of the top selling two wheelers in India along with the likes of the Hero Splendor. But is this reason enough to buy one? Of course. Not only do you get a machine that has proven itself time and again, and in important areas like reliability, quality and fuel economy, but you also get a spacious, practical and easy to ride everyday commuter. Not to mention, a scooter with an unparalleled residual value. But, is it the best scooter on the market today? To find out, we have the new TVS Jupiter to give the Activa company. Now, the Jupiter has some strong attributes as well. 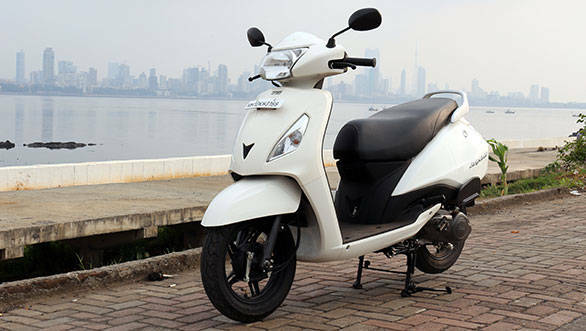 To begin with, it is a bit more modern looking than the Activa, even though both scooters have an unisex appeal to them. We also prefer the seating ergonomics of the TVS over the Honda - the handlebar-seat distance and height is better judged, and the seat-floorboard height is more comfort oriented on the TVS as well. The Jupiter gets a few additional practical add-ons too. Then there's a mobile charging point, a front hook to hang light stuff and a fuel filler cap that's located on the tail which negates the need to get off the scooter and open the seat to fill up. The Jupiter also gets some rider aids missing on the Activa. 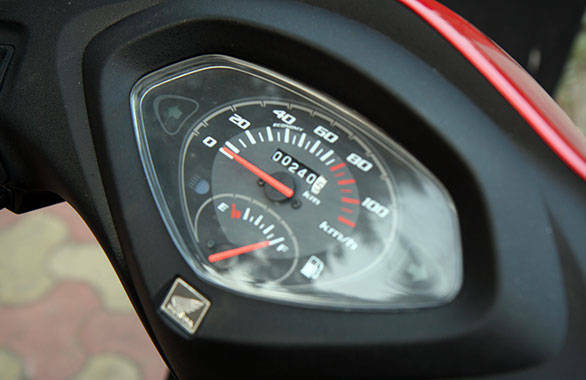 It has a throttle based Econometer which can help guide the rider to attain good fuel economy. In addition, there's a reserve fuel light indication and a pass-by switch. The latter is a first for any Indian scooter. 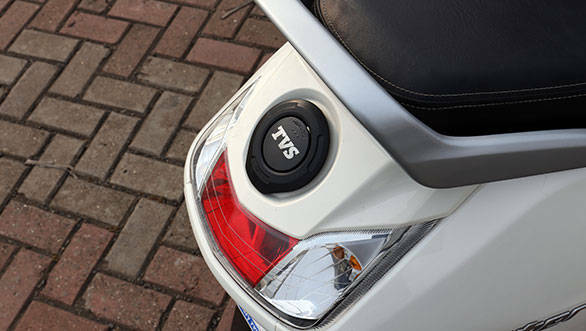 There's more - the TVS sports parking lamps and an LED tail lamp absent on the Activa. 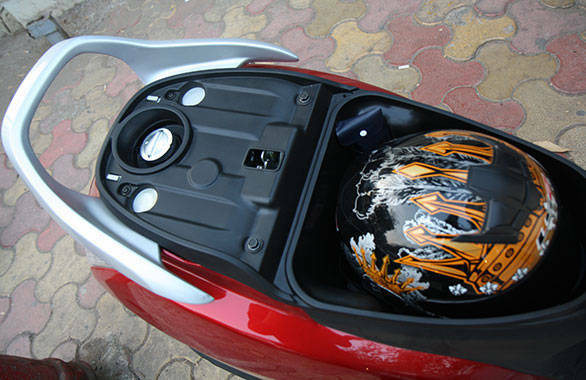 The Activa meanwhile gets an additional litre of storage space under the seat, but both scooters can hold only a half face helmet. 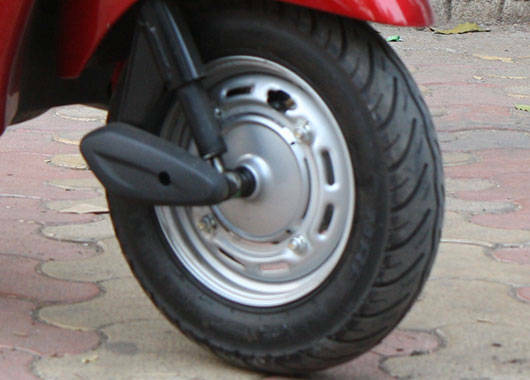 The Activa's CLIC mechanism also makes accessing the engine easier, but then again, this isn't something many scooter owners actually use. Key shutter lock meanwhile is standard on both scooters and is the parking brake clamp. The Activa and the Jupiter also use similar engines. Both are powered by air cooled 110cc singles. Both develop 8PS of max power and at exactly the same rpm. Both the engines are then coupled to CVTs. Electric start is standard on both and once fired up both scooters feel refined. There isn't much to choose between the two in terms of throttle response either and both scooters feel reasonably peppy to 60kmph. And these weigh almost the same as well. The similarities don't end here. Under full bore acceleration the Honda takes 10.2s to hit 60kmph from a standstill while the Jupiter comes three tenths more at 10.5s. The difference in quarter mile times is less than a second as well. And the difference in top speed of the two scooters isn't significant either. 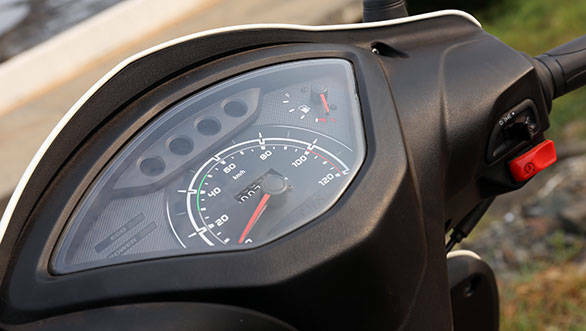 The Activa tops out at 86.2kmph to the Jupiter's 85.2kmph. The only difference is in the way the two engines sound and feel when ridden flat out. The Jupiter's engine remains reasonably refined throughout its operating range; it doesn't get too noisy or vibey. 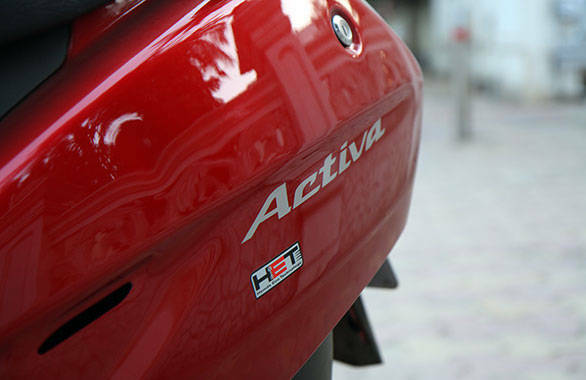 The Activa, however, begins to sound crude and stressed especially towards the top of the rpm range. 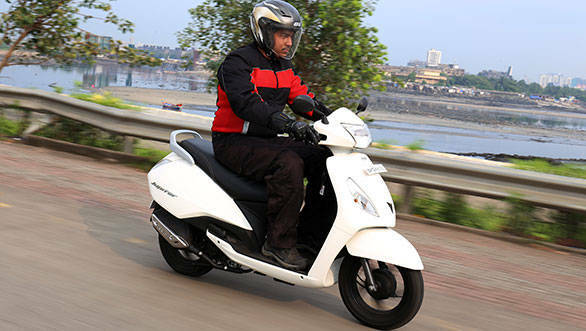 One can also feel more vibes on the Activa as compared to the Jupiter. 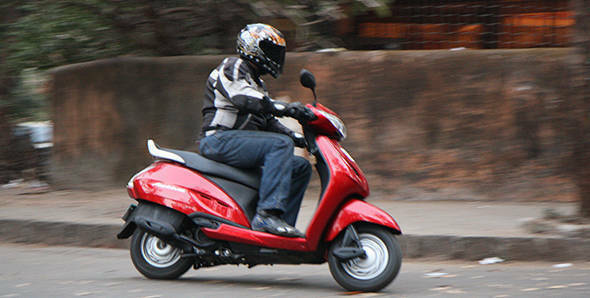 However, in the area rated as one of the most important by scooter buyers, the Activa comes up trumps. In the city the Honda returned 55.5kmpl while the best the Jupiter could muster was 51.2kmpl. This gives the Activa a range of around 295km against 256km for the Jupiter. So, for the economy conscious buyer, the Activa still makes more sense, but the Jupiter isn't far behind. The TVS meanwhile does beat the Honda when it comes to the riding experience. The Jupiter runs superior cycle parts. It runs bigger 12inch wheels compared to 10 inchers on the Activa. It also uses motorcycle-like telescopic forks at the front while the Honda still uses a trailing link setup. At the rear, both scooters use unit swingarm with dampers. But, while the Activa's dampers are plain hydraulic, the Jupiter's unit is gas charged as well. On the road, this gives the TVS significantly better ride and handling characteristics. At slow speeds, say upto 30kmph, the difference isn't as telling. But, as you go faster, the Activa feels less settled, harsher and over really poor surfaces, downright uncomfortable. The Jupiter rides the bumps and potholes with more finesse. We won't term the ride as great, but compared to the Activa, it clearly stands out as the more comfortable scooter. 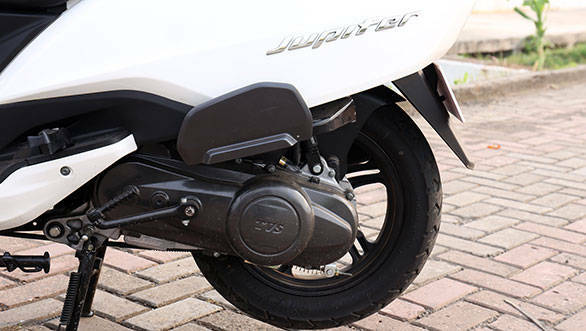 Even on the handling and braking front, the Jupiter feels surer even though both scooters only come with drum brakes at both ends. 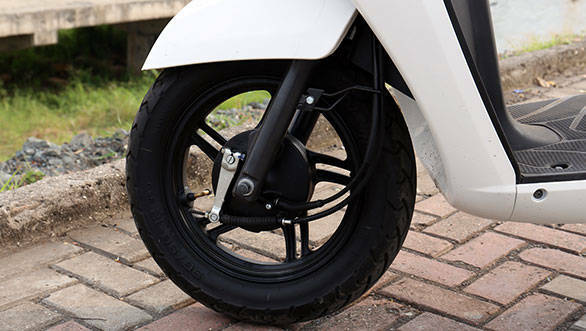 The Activa, nonetheless, does get Combined Braking which brakes both the front and the rear wheels even if only the rear brake is applied for better and safer braking. But on the road, the Jupiter stops sooner and feels more stable while at it. As far as flick-ability at slower city speeds is concerned,the two scooters are comparable. Both feel light and eager to slice through traffic and given there's hardly any difference in the width of the two scooters, picking gaps is equally easy. But, ride faster and the Jupiter's better dynamic abilities begin to shine. It bounces around less, turns in better and feels less nervous under quick direction changes. The Activa is a great buy, no doubt. It isn't the highest selling two wheeler for nothing. But, given the pricing of the two scooters - Activa is priced at ? 51,665 while the Jupiter costs ? 46,534, both ex-showroom in Mumbai - and the additional equipment and feel good factor the Jupiter comes with; not to mention better ride and handling characteristic, it's almost impossible not to settle for the Jupiter. That's unless of course, you are risk averse and want to take the tried and tested route. For us though, the Jupiter is the clear winner.